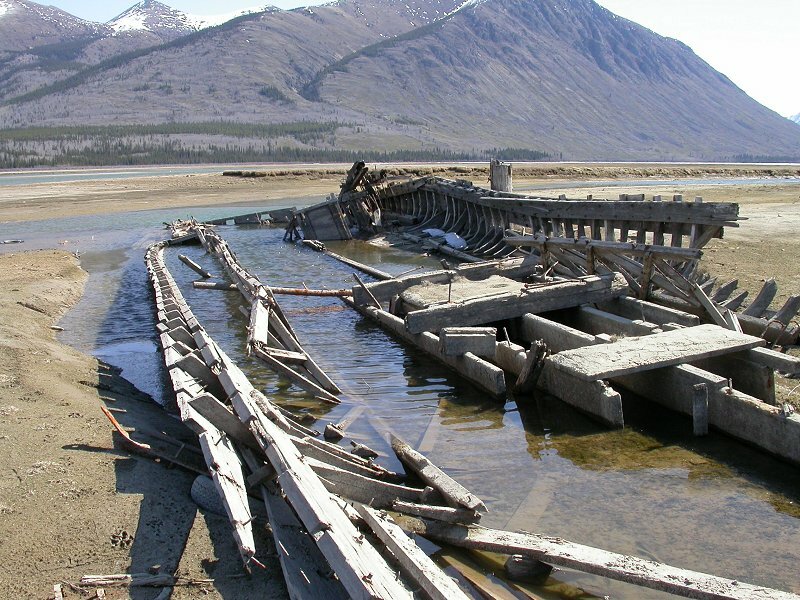 The wreckage of the sternwheeler Gleaner sits on the bank of the Nares River, only visible at extreme low water. It was scuttled here in the late 1930s, probably to act as a wingdam to channel the water through the lake for the Tutshi, which ran until 1955. This photo was shot on May 4, 2003. This photograph is © 2003-2015 by Murray Lundberg, and is not to be copied without express permission.